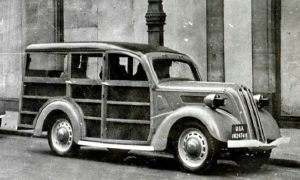 In 1940, Britain stood alone and was desperate for technological help as its development and production capability was at full stretch. At that time the US was not at war and many US politicians and large parts of the population were reluctant to becoming involved so in order to obtain US help, Churchill authorised a delegation headed by Henry Tizzard to give the US our most important secrets. These included designs for the jet engine, proximity fuse and cavity magnetron, which was described later by one US historian as “the most valuable cargo ever brought to our shores”. As a direct result of this the US set up the Radiation Laboratory (Rad Lab, a Code name) on the campus of the Massachusetts Institute of Technology (MIT) at Cambridge near Boston in October 1940. They immediately set to work using the information that had been given to them and began to develop the microwave radar technology with the help of US industry. This led to some of the best Airborne Intercept and Gun Fire Control radars being produced by the end of the war. The later together with improved proximity fuses were to prove essential in helping to defeat the V1 missile. After Pearl Harbour, when America entered the war, at the end of 1941, it became obvious that the US needed to develop countermeasures to radars. 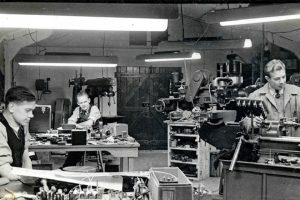 This led to the setting up of the Radio Research Laboratory (RRL) at Harvard, close to Rad Lab. All through the war, the Harvard Radio Research Laboratory (RRL) and Rad Lab M.I.T. laboratories, just a mile apart, carried on a friendly but deadly serious rivalry: the Tech Radiation lab developed better and better radars, and the Harvard R.R.L. produced better and better jammers. From the roof of the Bio Lab, the Harvard technicians took delight in jamming Tech radars across the roof tops of Cambridge. 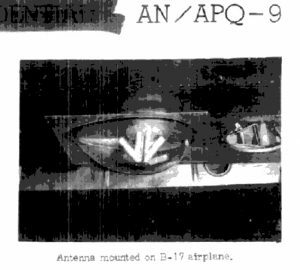 The RRL work was to be kept secret from the scientists in Rad Lab so that the radar developers would not know what the countermeasures group were doing. Two events in February 1942 made it imperative that RRL visit the UK to find out what they knew. These were the Bruneval raid and German jamming of British radar on the south coast allowing the Gneisenau and Scharnhorst battle cruisers to sail up the channel and nearly escape detection. These events resulted in RRL visiting TRE at Malvern in May and talking to Robert Cockburn, head of Countermeasures and Martin Ryle, a Group Leader. TRE disclosed all their work and ideas, particularly the techniques they had developed to jam German radars and the Americans left with key TRE reports and background material. 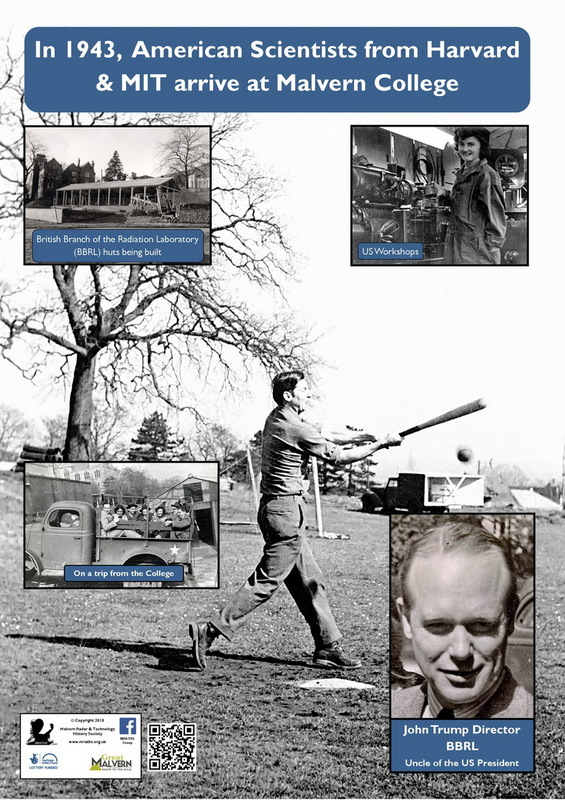 They returned to the US with a list of tasks that TRE wanted them to work on including a jammer, which could be fitted to all allied aircraft, to counter the Wurzburg,. This was to result in the development of the Carpet jammer. They also left with an impression that the RAF were doing well. 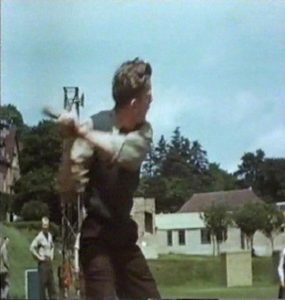 RRL decided that they needed to cooperate very closely and this led to the setting up of the American British Laboratory of Division 15 (ABL-15) in Malvern shortly afterwards. 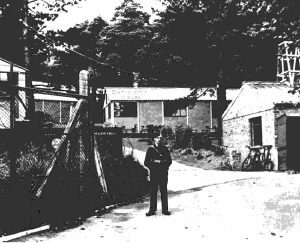 They joined the British countermeasure group in the Lees, which had extra guards because of the high security. 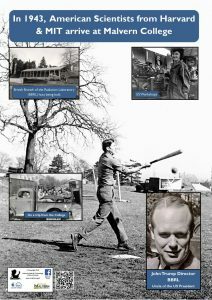 ABL-15 at Malvern was the largest of RRL sites outside Cambridge Mass with over seventy staff stationed there and sixty with BBRL at the end of the war. The men and women were a mixture of engineers, scientists, drawing office, lab & workshop staff as well as Service personnel. They were integrated into the British research teams and when they returned to the US after a few months brought back many useful lessons. 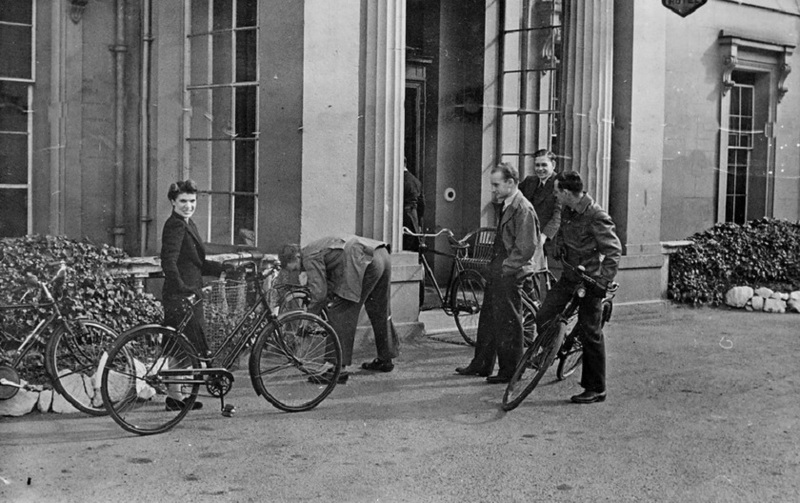 The newly formed ABL-15 did have problems early on with conditions in the UK, although TRE tried to be helpful, the Americans complained about housing, allocation of petrol and food shortages. Through the summer, radar specialists from the Rad Lab joined ABL staff to help fit, maintain and develop the H2X radar fitted to US Army Airforce planes. 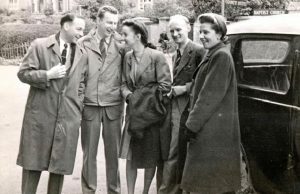 By October when a squadron of B-17 equipped with H2X arrived in England, the contingent had grown large enough to warrant a formal organisation to be set up as BBRL. 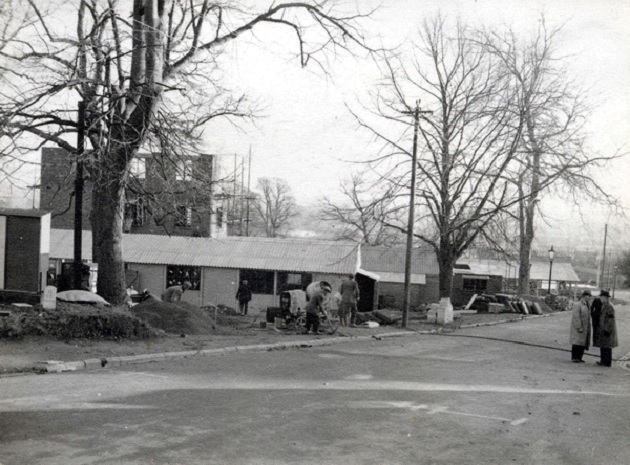 New huts were built for them in the College grounds. ABL-15 staff, then believed that BBRL were given better housing allocations and were better paid. They did bring their own cars and lorries. 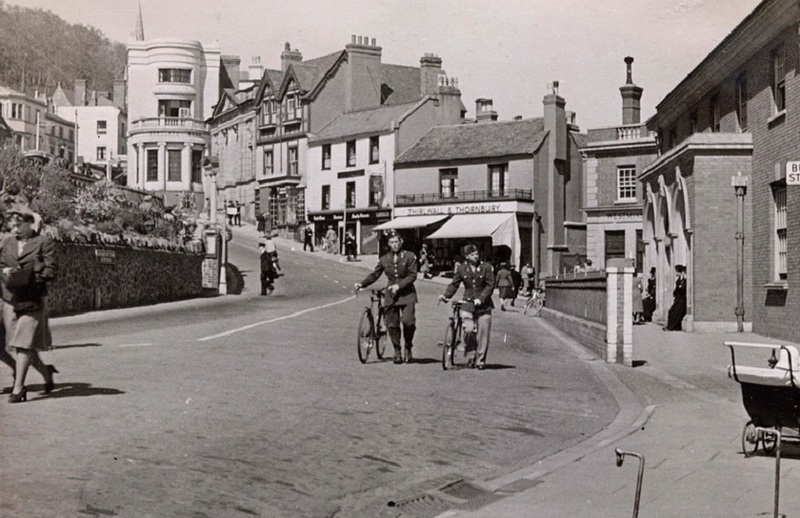 In the autumn of 1943 both their numbers had mushroomed, their staff crowding into the County Hotel, their ebullient presence discomforting the elderly ladies still in residence. Originally the ABL-15 Director was Peter Goldmark, but he wanted to go back to the States every 3 months as he did not think travel restrictions applied to him and ignored the requirement to stay there for a year. He resigned and his deputy the imaginative Victor Fraenckel took over. However he became more and more despondent about ABL-15 progress and also spent an increasing time away from Malvern. A permanent replacement was needed and John Dyer, in January, was appointed. Franckel moved to become technical liaison with the US Army Air Corps General Spaaz. However there were still problems as in the spring of 1944, as the Allied Air Forces were crying out for jamming equipment and with ABL-15 so close to the scene of battle they were overwhelmed by suggestions and requests. 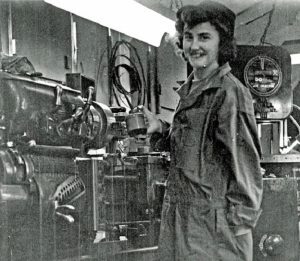 It was difficult to get the engineering staff to stop refining individual projects and making sure enough countermeasure systems were fitted into aircraft. It was the classic design engineer’s weakness, continuing to improve a unit instead of making sure that the maximum number of workable units got into the hands of the front line services. A fault that TRE tried to avoid. 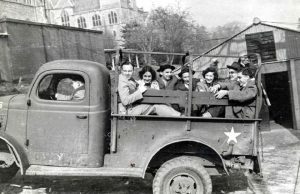 Extra help was sent over from the States and by late summer of 1944, the seventy staff at Malvern and others working directly with the operational units had made sure that all the US heavy bombers carried two jammers and enough window (chaff) to produce false echoes to seriously reduce the effectiveness of German Anti-Aircraft fire. In excess of seven thousand units of the APT-2 Carpet jammer designed to counter the Wurzburg were produced. A P Rowe (TRE Superintendent) encouraged close cooperation with the Americans although it put extra pressure on both his staff and resources. He believed it vindicated the value of TRE’s work and he gained immense personnel satisfaction from seeing American and British scientists working so closely together. 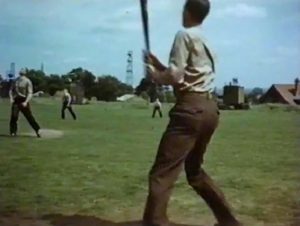 They also mixed outside work, with the British challenging the Americans to a game of cricket, which strangely enough TRE won, however the US retaliated with a joint game of baseball which evened the score. 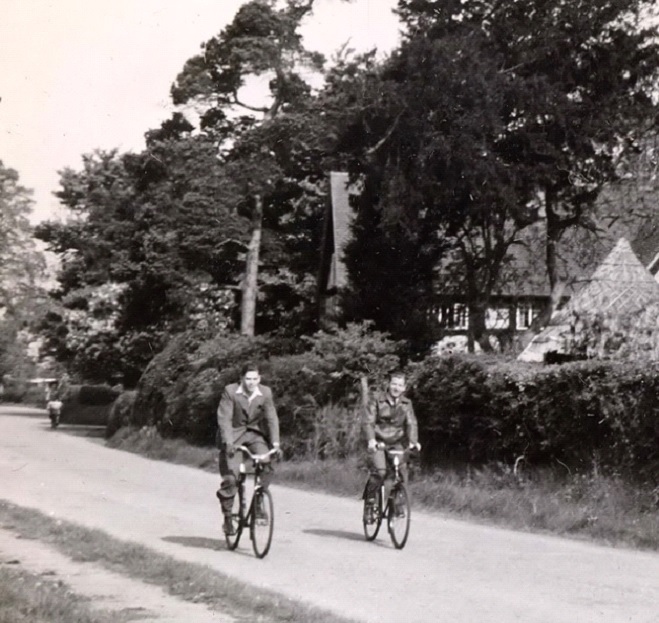 The Americans made good use of what limited leisure time and managed to get hold of bikes to explore the local countryside. John D Trump was appointed director of BBRL and was described as charming and patient. However he kept his outfit at work even on British holidays “partly because of my feeling that holidays are immoral, at least for Americans” He was the uncle of Donald Trump, the 45th President of the United States. In recognition of his work during the war he was awarded the “Kings Medal for Service in the Cause of Freedom” by King George V and the “President’s Certificate of Merit” by President Harry Truman as was A.P. Rowe. 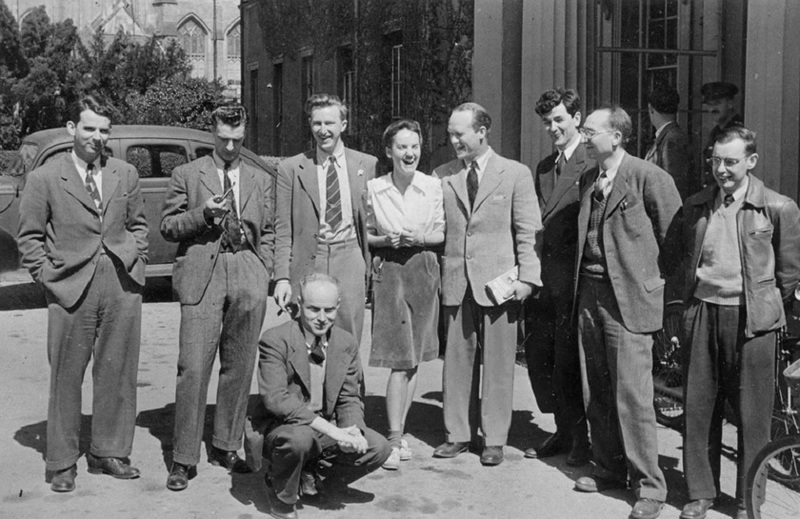 Another member of staff working at BBRL was Clyde Cowan Jr who later received the Nobel Prize for the discovery of the neutrino. 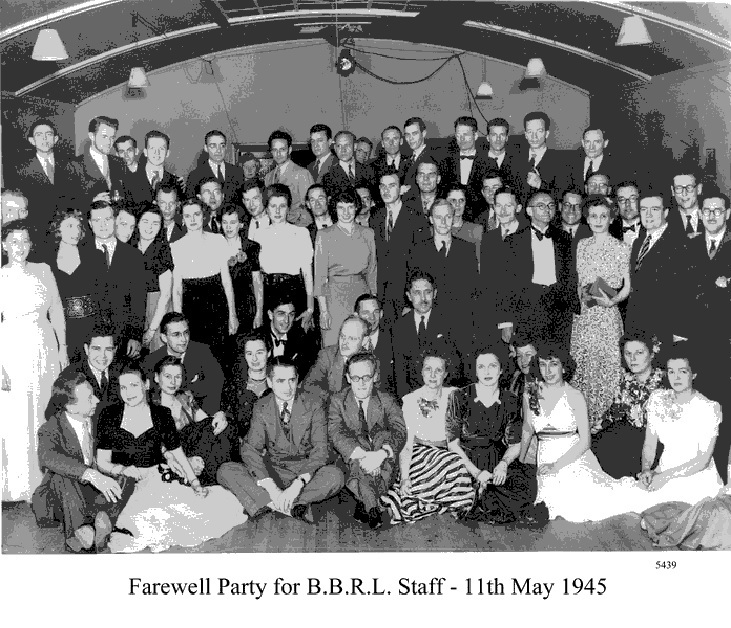 ABL-15 and BBRL were closed down after VE day.